Shipping Crates — Protection: Pure and simple. That’s what CDC Packaging delivers with every wood shipping crate that we build. We use only the best materials. 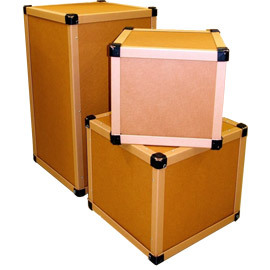 We refuse to compromise on quality, so you can be confident that your crates are first-rate. Our methodologies are superior. We pay attention to details, such as clinching nails, that help us produce stronger, safer crates. We know specs. Heat treatment standards, bug-free requirements for international exports…You name the spec; we know how to deal with it. We have the practical knowledge. We have more than 20 years in the field, building crates, and shipping complicated, expensive products around the world. 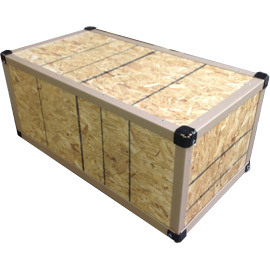 Check out a few of the types of shipping crates we have built to protect the valuable equipment our customers trust us to package for shipment. Sometimes simple is best! 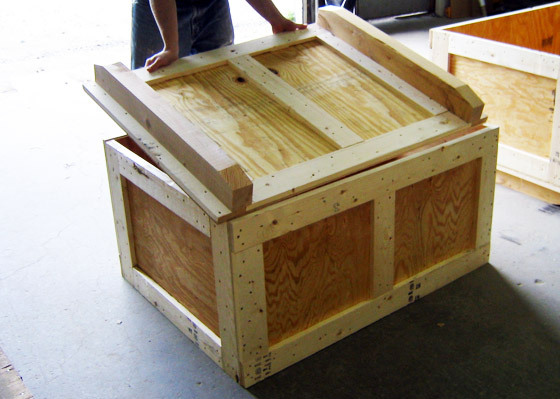 We often build basic wood crates per Federal Specification ASTM-D6251 AKA PPP-B-601. Of course, we can also build to Military Packaging Specifications, such as Mil-C-104, ASTM-D6256 AKA Mil-B-26195, PPP-B-621, and many more. 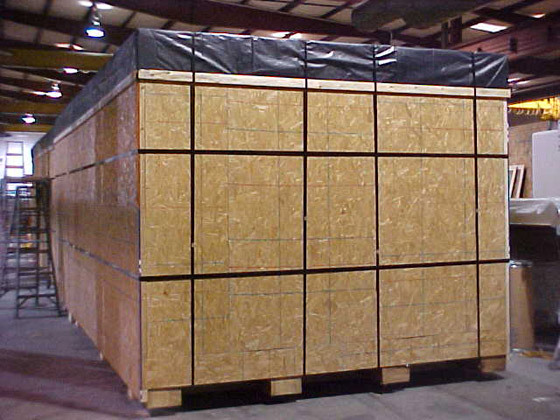 We can manufacture export shipping crates of any size to ship your product anywhere in the world. We specialize in packaging oversize, over-weight, and difficult-to-handle equipment.We have crated equipment in excess of 40 feet in length, 12 feet in width, and 12 feet in height–and weighing in excess of 50,000 lbs. Notice the plastic cover over the top of the crate. We take the extra steps to make sure your product arrives clean, dry and in perfect condition. 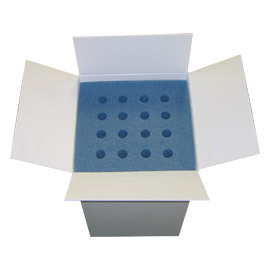 Learn more about protecting your shipment from moisture. 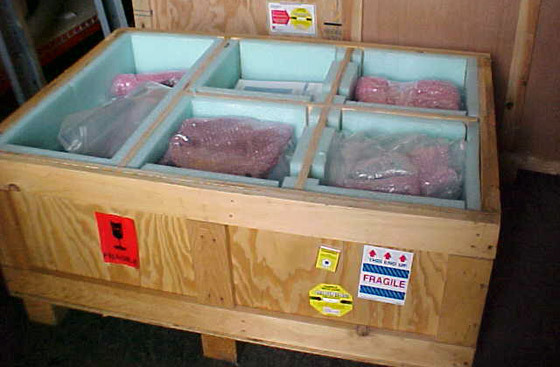 Many of our customers are shipping assemblies and components worth more than $100,000. Since these items are often very sensitive to shock and vibration, cushioning is an important aspect of any shipping plan. 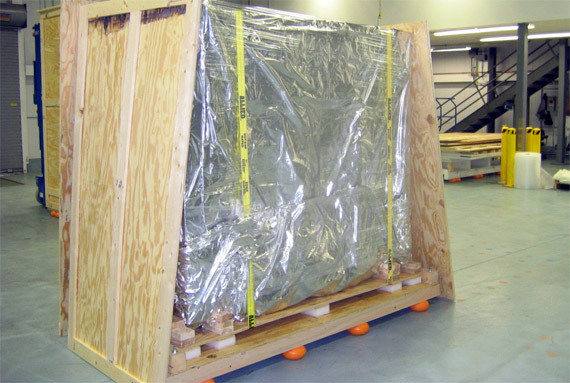 Our team can design and fabricate a solution to your most sensitive shipping challenge. But you don’t have to take our word for it! We can provide scientific data supporting our design choices. 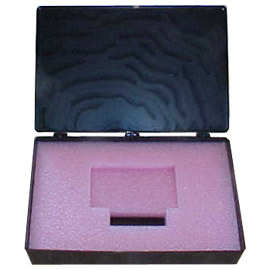 We use data provided by foam manufacturers as well as other cushioning device manufacturers, and can even arrange for certified International Safe Transit Association testing. Learn more about protecting your shipment from shock and vibration. A local telecommunications company approached CDC Packaging looking for a solution to a serious shipping problem. Their systems disassembled into smaller components which could be shipped in several boxes via UPS or FedEx. What seemed like a convenience was actually causing trouble because the components were getting separated (and occasionally lost) in transit. So when the company’s technicians arrived in China to install the system, they often found they were missing critical components which resulted in lost time, increased expenses, and unhappy customers. We designed and built a consolidation crate that can house all the components necessary for a successful system installation. Now there is only one box to pack, one shipment to track, and one crate to locate….and many happy customers. Have a small assembly weighing less than a pound? No problem! CDC Packaging provides full industrial packaging service. Whether your equipment measures 4 inches or 40 feet, or weighs 50,000 pounds or less than a pound, we can provide you with the proper packaging tailored to your product.